American has a very nice first class service for a two and half hour flight. The hot nuts are amazing. The entrees are creative and very good. They used to serve freshly baked chocolate chip cookies but now they offer a choice. On two of my flights they offered a hot, freshly baked oatmeal, cranberry cookie that is truly the best cookie I've ever eaten. It tastes a bit like a pop tart (which is a fond memory of my youth). I was moaning and raving over the cookies and twice the flight attendants gave me an extra. These cookies are heaven. I am going to contact American Airline to see if I can get the recipe. If I can I will post it here. Until then, does anyone out there already have it? Kudos to the American first class flight attendants that worked my flights. 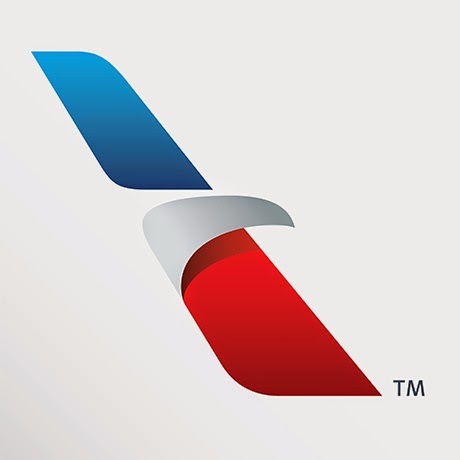 With the exception of the last flight from DFW to PSP, every one of them were impeccable professionals who clearly took a great deal of personal pride in providing excellent customer and first class service. I think they were all flight more senior flight attendants. The last one was obviously new. She could use some retraining on the first service protocols. I'm an ex-Stewardess (30 years ago I flew for Western Airlines and then Delta, upon the purchase and merger of the two airlines by Delta). I truly appreciate the demands and nuances of the job. I was most appreciative of the excellent service, topped off with those phenomenal cookies (and the aroma as they were baking in the ovens). *For one short leg, from Chicago Midway to Greenville SC I flew "Southworst" Airlines (as I call it). It was wretched in every way. I haven't flown Southwest in years and unfortunately it hasn't improved a bit. You see the worst of human behavior on this airline. I think they advocate the decline and fall of the United States (along with Wal-Mart). 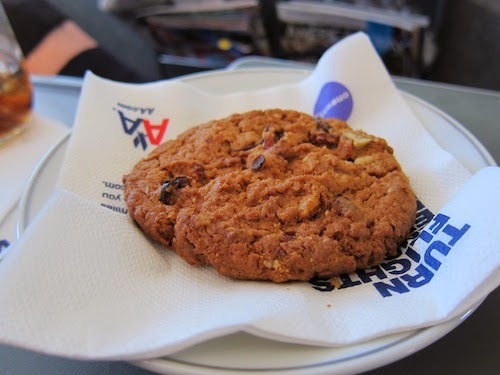 I too am a fan of these delicious American Airlines cranberry oatmeal cookies. Should you be so lucky to learn the recipe, I will be most appreciative if you would share it with us.